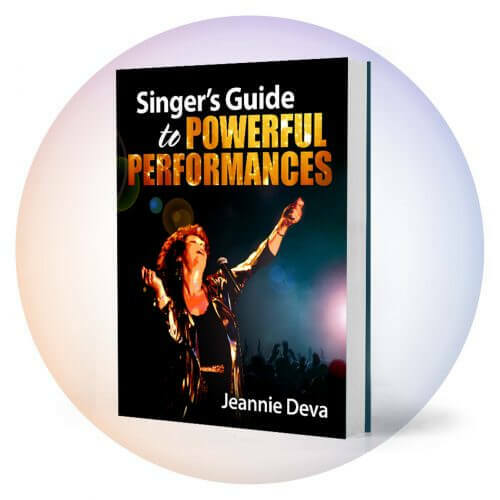 This blog tip is adapted from Jeannie Deva’s eBook: Singer’s Guide to Powerful Performances, Chapter 22: Finding the Right Microphone. The microphone is the gateway to your amplified sound; how it reproduces your voice can have a great deal of influence over your singing. How electronic equipment such as a mic reproduce your voice may affect your vocal technique for better or worse. 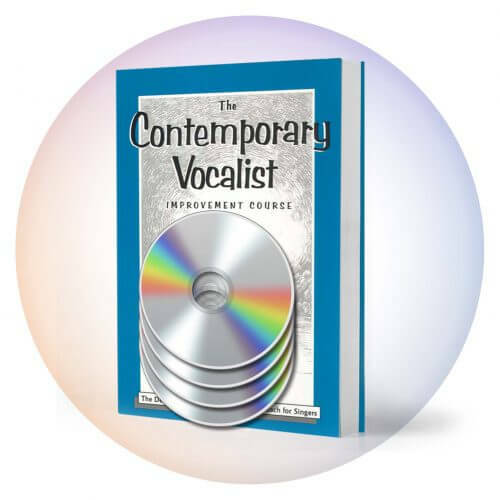 Depending on the sounds we hear when we sing, we make muscular vocal adjustments accordingly. If you don’t like what you hear because, in this case, the mic is not reproducing your vocal sound well and not because you are singing poorly, you may make inappropriate muscular adjustments and end up straining your voice. Just as we all have individual personalities, each type and brand of microphone converts your acoustic voice in its own distinctive way. The mic’s personality has to be matched to your voice. Whether you’re an electronics genius or a novice, you’ll have to audition microphones in order to find the one best suited for your voice. The most reliable way to do this is to go to a music equipment store and try out different makes and models of microphones. Set up an appointment with the audio specialist in the mic department of your local music store. Go over your needs. 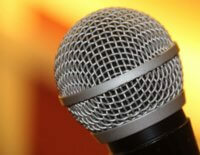 For adequate sound comparisons, start off with a cross section of different stage mics at different price levels. It’s well worth trying something that’s outside of your price range just to study the difference. The audio specialist will start speaking in what seems like a foreign tongue about microphone specifications; be prepared to possibly get confused. Or better yet, read the rest of this chapter, view the suggested videos and develop a solid understanding so that you can dazzle the salesperson with your knowledge. Mics can sound different with different PA systems. 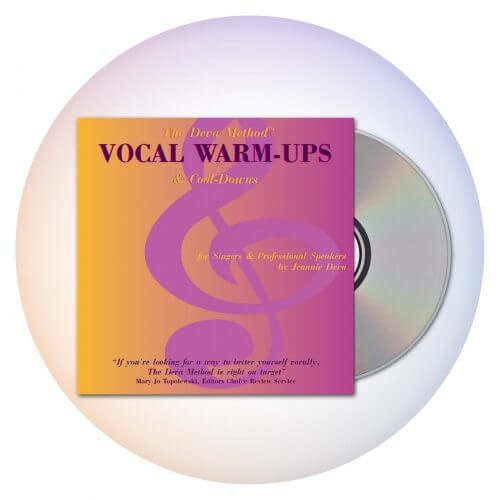 During your selection process, use one PA. Once you narrow down your choices, you can try the finalists with a different sound system as an extra test. Avoid reverb or any other effects so that you don’t color the mic’s personality. Maintain the same volume on the PA. Does it sound like you? You’re looking for a microphone that makes it easy for you to sing and lets you sound like you at your best.